The document, which has been widely regarded as way of propelling Netanyahu's re-election bid ahead of the 9 April parliamentary elections in Israel, has already been condemned by Iran, Russia, Syria, Turkey and other countries. 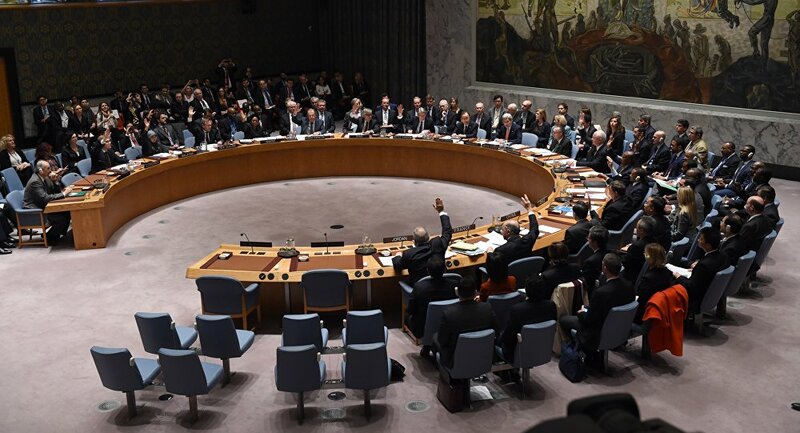 Major US allies such as France, Germany and the United Kingdom have also refused to back the country's U-turn in its policy toward the Golan, as it goes against a UN Security Council resolution. Damascus requested Tuesday that the UN Security Council hold an urgent meeting on the issue of the Golan Heights, AFP reported Tuesday, citing a letter seen by journalists. Syrian Information Minister Imad Sara told Sputnik earlier on Tuesday that Trump's proclamation demonstrated the ineffectiveness of international law. "In the long-term prospect, Trump's action confirms that international legitimacy no longer exists. International law was killed with Trump's pen as well, when he signed off on violence against the Golan", Sara said. The minister stressed that Damascus would not give up its right regain control of all territories belonging to Syria, and the Golan Heights was no exception. The Golan Heights were seized by Israel from Syria during the Six-Day War in 1967. Fourteen years later, the Israeli parliament unilaterally proclaimed sovereignty over the territory. On 17 December 1981, the UN Security Council declared Israel's actions as "null and void and without international legal effect". In 2018, the UN General Assembly adopted a resolution urging Israel to immediately withdraw its forces from the area after the country organized local elections there on 30 October.